Around 1700 automation suppliers are expected at SPS IPC Drives 2018. With this, the show aims to further consolidate its importance as a trade fair for smart and digital automation. In this article we present interesting IoT (Internet of Things) products and solutions. The strong focus that IT companies such as SAP are putting on industrial communications issues, such as OPC UA and TSN, shows how IT and automation are increasingly merging. This process is also reflected in the automation trade fair SPS IPC Drives and in the hall allocation: at SPS IPC Drives 2018 in Nuremberg (27 - 29 November 2018), the subject of software and IT in production can be found in Halls 5 and 6. There, innovations in the fields of industrial web services, virtual product development/design, digital business platforms, IT/OT technologies, fog/edge computing and cloud computing and much more will be on display. Numerous suppliers will also be addressing the topic of cybersecurity at their exhibition booths, demonstrating how companies can protect themselves against cyber-attacks. At the joint stands, visitors will receive comprehensive insights into specific topics and the opportunity to obtain advice from suppliers on individual requirements: Automation meets IT in Hall 6, MES goes Automation in Hall 6, wireless in automation in Hall 5 and AMA Centre for Sensor, Measuring and Testing Technology in Hall 4A. The forums of the VDMA associations in Hall 5 and the ZVEI in Hall 6 offer subject-specific lectures and panel discussions. Visitors will not only be able to find out about current industry topics, but also exchange ideas with experts in a personal dialogue. In 2018, the accompanying Automation 4.0 Summit will again complement the programme on the first two days of the fair: Edge computing in the industry - possibilities and limits, TSN and OPC UA in in the industry, IoT platforms in the industry, sensor technology for industry 4.0. For the first time at SPS IPC Drives 2018, a hackathon will take place under the motto "Digital Ideas for Smart Automation". The aim is to jointly develop useful and creative software products for the automation industry. The results will be presented on the first day of the fair. The award ceremony will also take place as part of this presentation. 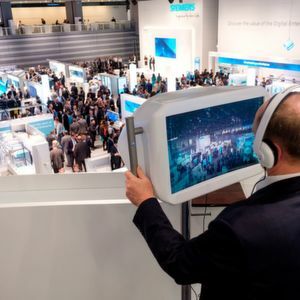 Following last year's success, guided tours on IT security in automation, smart production and smart connectivity will be held again in 2018. These guided tours will enable trade visitors to find out about important innovations and exhibits in these special subject areas in a targeted and focused manner. Industry trends Hackers are coming for you! 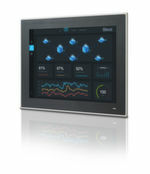 Event preview SPS IPC Drives is here!